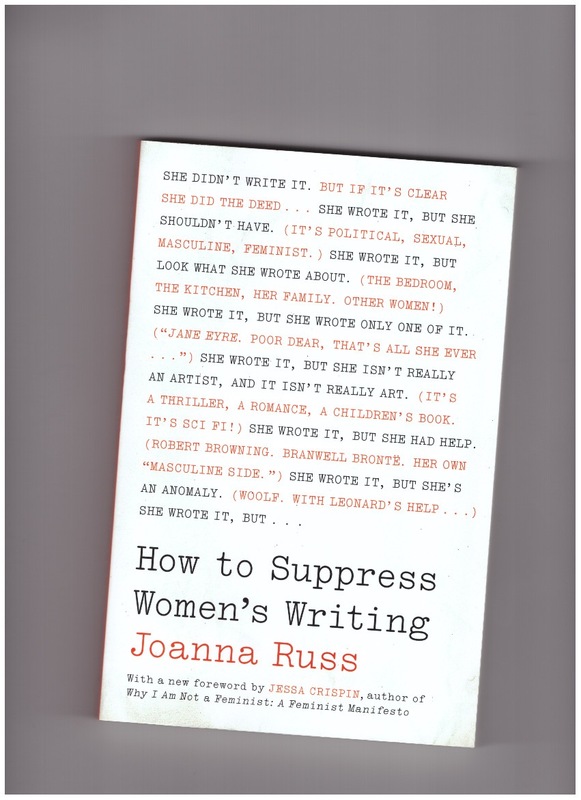 How to Suppress Women's Writing is a book by Joanna Russ, published in 1983. Written in the style of a sarcastic and irreverent guidebook, it explains how women are prevented from producing written works, not given credit when such works are produced, or dismissed or belittled for those contributions they are acknowledged to have made. Although primarily focusing on texts written in English, the author also includes examples from non-English works and other media, like paintings. Citing authors and critics like Suzy McKee Charnas, Margaret Cavendish, and Vonda McIntyre, Russ aims to describe the systematic social forces that impede widespread recognition of the work of female authors.